All Posts / Our Stories / B.C. Bound / Tim Horton’s Roar of the Rings – Trials – Practice Day! Tim Horton’s Roar of the Rings – Trials – Practice Day! Although no fans will be filing through the doors here at Rexall Place today the coaches and athletes will be paying close attention to the rocks and ice. At every big event the CCA hosts there is opportunity for the teams to practice on the ice prior to the event. 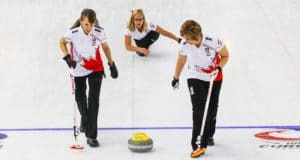 Today there are four separate times to accommodate the sixteen teams and ironically they get 16 minutes per sheet during their allotted practice time. As you may have noted from some of the media reports going around this event will not be using the Olympic rocks. Despite a plan to do so the WCF faced some international pressure to take the rocks away from this event. Done. The MCA rocks will now be used; a tried and true set of rocks that have been used at previous events. 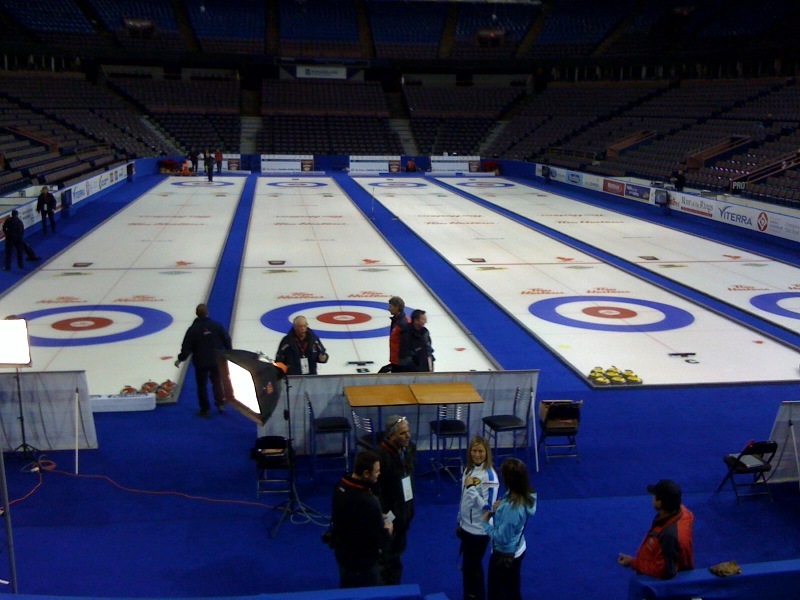 Rexall Place, see below, is a perfect venue for curling. 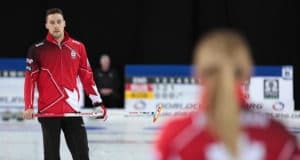 One of my top 10 sports moments was sitting in 110 watching the Ferbey Four win a Brier in their hometown…….17,000 people watching a curling match and a storybook ending it was! I will keep you posted throughout the day if any controversy pops up!! The biggest concern yesterday was ensuring everyone arrived. Having to personally brave the conditions from Calgary yesterday I can attest to the craziness on the roads. 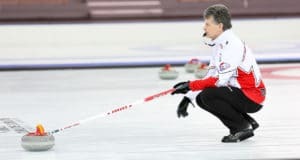 Next: Hey Coach: CurlBook – Your One Handed Curling Stats Application!